Passion flower is a vine that is native to North and Central America. It is a large plant that can grow to a length of 30 feet and produces a purple flower that bears yellow fruit. Passion flower can be made in to a tea that is useful for calming the nerves, relaxing the muscles and relieving headache, anxiety and back pain. Passion flower has also been used to treat Parkinson's disease, nausea and drug withdrawal and can help stimulate the production of estrogen. Crush 2 g of passion flower leaves into a fine powder (use 2 g per person). Use more passion flower for a stronger tea after you have tried the weaker version; see how you react to the tea before you try a stronger tea. Wait a few weeks before you make a stronger tea so that you can find the right dosage. Add the crushed passion flower leaves and a cup of water to the pot and bring the mixture to a boil. Allow the leaves to steep for approximately 15 to 20 minutes. Strain the liquid to remove any large particles in the tea. You can reheat the mixture and bring to a boil in order to reduce the amount of tea that you will need to drink. Allow the tea to cool. Add the tea to fruit juice or other liquid to make it more pleasant to drink. It's best to add the tea directly to concentrated fruit juice without adding any water; this will dilute the drink. You can drink the tea cold or hot, depending on your preference. 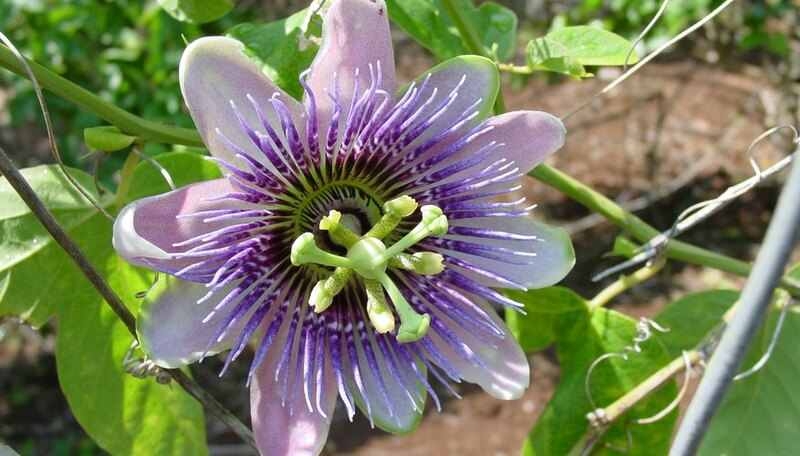 Passion flower should never be consumed by pregnant women. Avoid adding the tea to caffeine because it can cause headaches. If you are going to drink passion flower tea, avoid caffeine products for a few days before and after to make sure there is no reaction.